Jill Of All Trades: Tropicana Slice Alphonso - King of Mango drinks! The season of mangoes is officially here. But it's the season of mangoes 365 days for me! Why? Because of the all new Tropicana Slice! 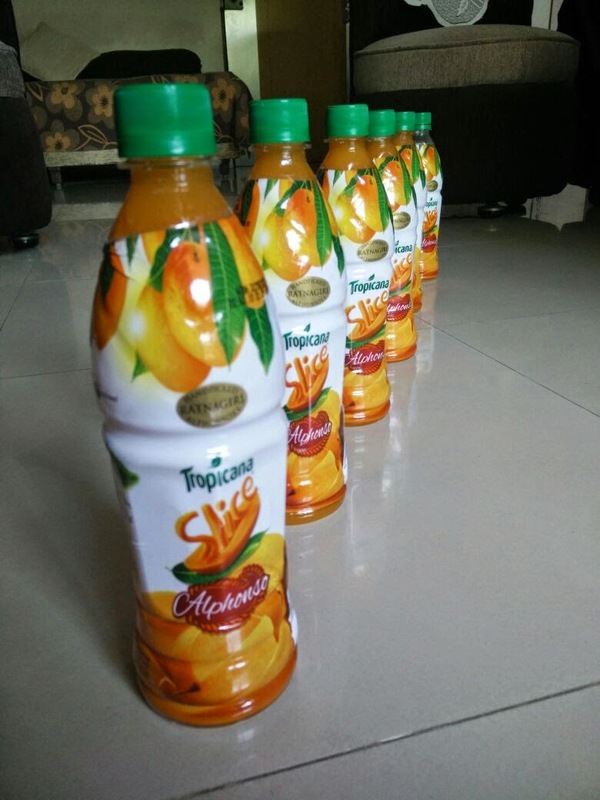 Yes, recently Slice & Tropicana had a merger and presented the all new Tropicana Slice Alphonso! The video (not because of Katrina) but because of the mangoes gets me really thirsty! And aerated drinks have never quenched my thirst, so when I am on the go, getting tortured in this horrid weather, Slice has always been there to help me beat the heat! Tropicana's fruit expertise and Slice's mango perfection come together to handpick the best, juiciest Ratnagiri Alphonso mangoes, exclusively for you - in a delightful mango drink. It is best had chilled out of the fridge, when at room temperature I did not enjoy it personally. I love the smooth, rich, thick taste it has! Imagine a thinner, little more liquid version of Aamras. YES that! 1. Add Tropicana Slice, Vanilla Icecream and some Icecream soda in a glass. Decorate with few mango pieces and Tadaa! Your own Slice float! Jokes apart, I am quite thrilled that the Tropicana Slice is now available to order online from Amazon! Woot woot! No more venturing out in this heat to grab a bottle. 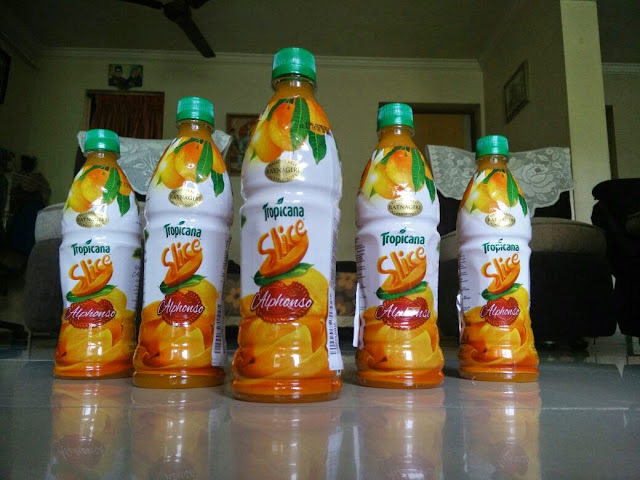 Next time a relative gets you mangoes from Ratnagiri, gift them Tropicana Slice bottles in return. Haha!